This past weekend I went to Jetty Park a little after sunrise and got a chance to enjoy a few Sandwiches on the beach. 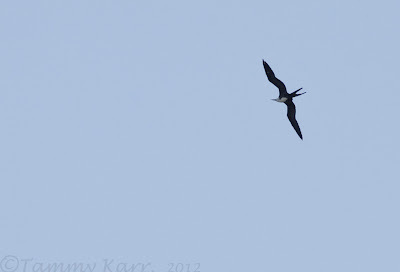 One of the first birds I spotted as I made my way to the beach was a Magnificent Frigatebird circling the sky above the inlet. This is the second one I've seen over the past week as I also saw one near the Sebastian Inlet. Numerous Ospreys and a few Black Vultures were also soaring the skies. I was most excited to see a few Sandwich Terns that were standing proudly among the Royals. Sandwich Terns are handsome looking, medium sized terns. 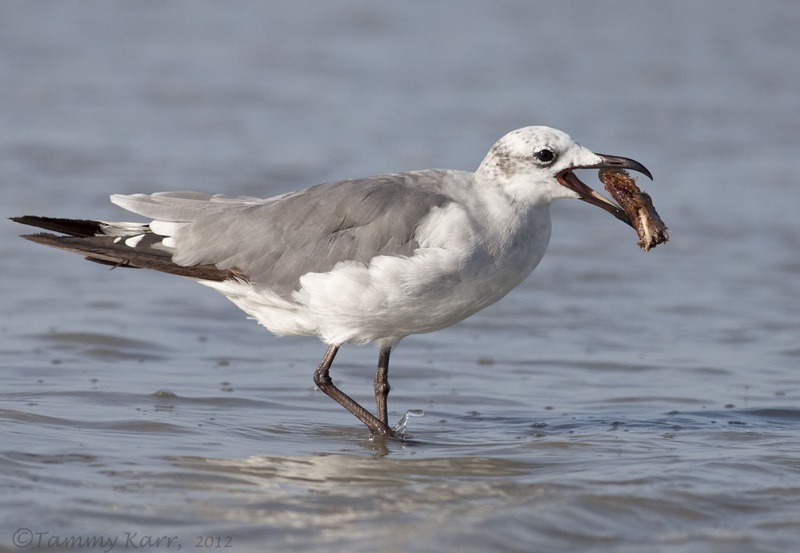 This Laughing Gull discovered a healthy-looking breakfast in the surf; a washed up bone! Wish you a wonderful summer, Tammy. Preciosas Tammy. Saludos desde Extremadura. 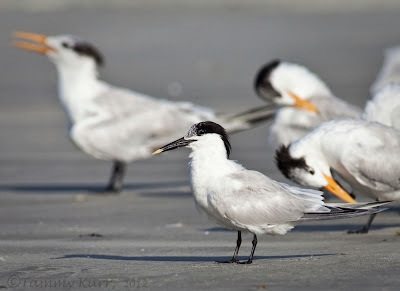 That little Sandwich Tern is so handsome, with it's yellow-tipped bill!! Great shots. I miss visiting Florida. 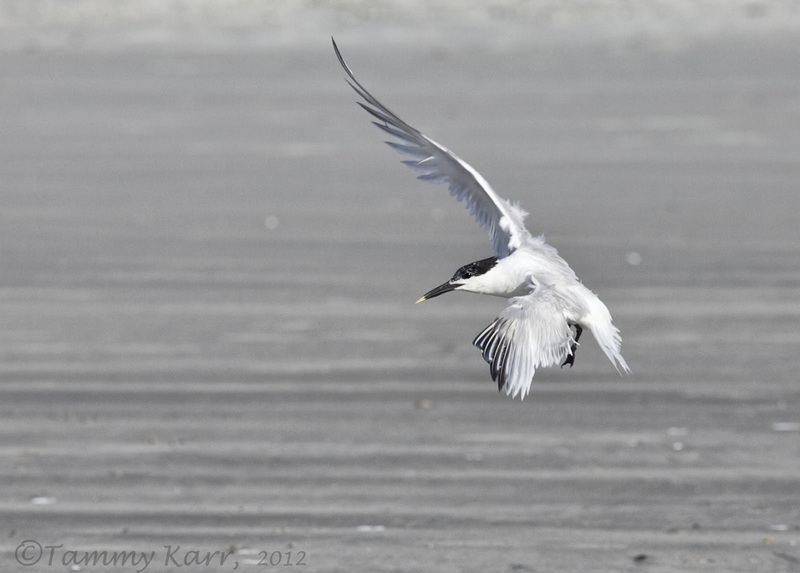 My favourite is the Sandwich Tern, it's totally stunning. It's nice to sea your Gulls. 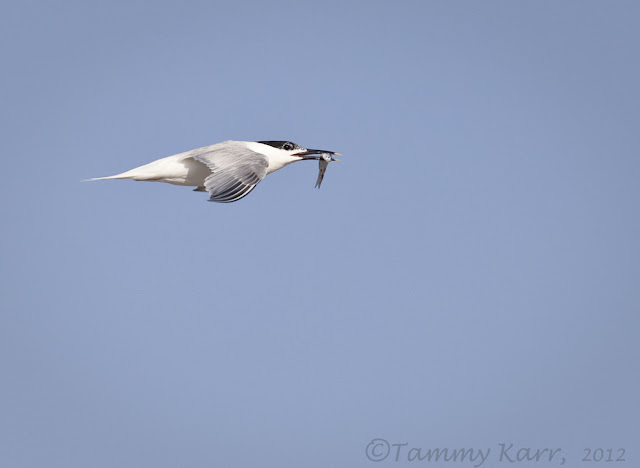 Sandwich Terns are very cool, like they dipped their beaks in carmel. So now you're seeing Frigate birds, hmm...I think there are some old superstitions about that. Something momentous must be heading your way! I like their black crested head. Fabulous images Tammy of all the species along the beach. I just love those Sandwich Terns with their punky haircuts. 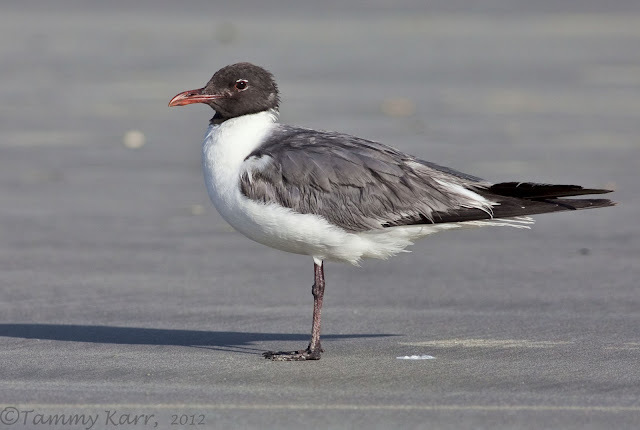 Is the last one a laughing gull. I so love terns...those sandwich ones are lovely...do they make such a racket like my caspian terns. I will put my caspians in blog soon. I like visiting here. Those bird names are pretty strange when you think about it. Very good pictures Tammy..... sharpness is fantastic. Gorgeous photos, Tammy! I love that first one...just something about the in-flight posture! Preciosa serie, alucinantes fotos. La segunda parece un ave prehistórica. Great pictures tammy, the first I find the best. I love viewing your Florida bird images! Wonderful! Hi Tammy, you captured the individual character of each bird you so adeptly photographed. Very nice shots Tammy! I really like the first one. Perfect stop action shot! Beautiful. 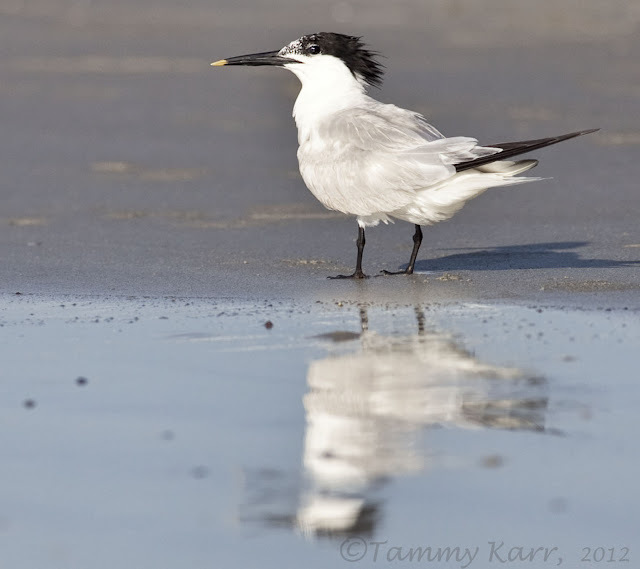 I really like the Sandwich Tern standing in the surf with its reflection in the foreground. A great post Tammy. I have looked at your last posts with delight! Such lovely pictures including the herons and the crab! And here you are having sandwiches with the Sandwich Terns! The 1rst one is just gorgeous!